Summary: Growing up in the 1950s near Vancouver, Stacey lives in a Native community with her family but attends high school in town with the white teens. Her last semester and summer before leaving for university are eye-opening as a classmate of Stacey commits suicide and a ‘flu epidemic strikes Stacey’s community. She grows to learn the white community she is trying to be a part of has its’ own problems, including a complete lack of respect for their Native neighbours. Stacey can see how white culture is invading her community and changing things in a bad way, giving her a renewed appreciation for the way things are. Her plans to do something about it are noble, but unfortunately not realistic. 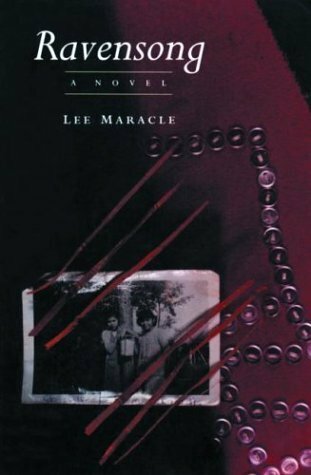 Review: In a heart-breaking, gut-wrenching tale, Lee Maracle explores the effects of European culture on a Native community in the 1950s. Stacey is a seventeen year-old with a dream of becoming a teacher and returning to start a day school for her Native community. Though her relatives attended residential school, Stacey chooses to attend school in the local town. As the only Native in the school, Maracle pinpoints the many communication and culture differences Stacey experiences, but it isn’t until Polly, a fellow classmate, commits suicide that Stacey really begins looking at the messages she is getting from her environment. And once she starts looking, what she finds can’t be unseen. When a ‘flu epidemic hits, it is up to Stacey and her mother to help others get through it. Doctors from town claim they are overworked and unable to help the Native community, so their losses are higher than expected. Stacey’s own father is one of the casualties, and watching her mother find love again with someone close to the family is hard. Stacey’s awareness of the disparity between white and Native culture grows, and there is immense grief involved as she can see white culture and beliefs tainting their Native community. Change is coming, and although Stacey wants to be a part of that change in a way, she also knows not all change is good. By the end of the book Stacey is starting university with her eyes open, knowing exactly what she is giving up with the choices she is making. Ravensong is a powerful, layered read that works as a teen/adult crossover and is an excellent choice for a Canadian English literature class. “If Stacey had no idea how to take her father’s death, Dominic’s confused her more. After the double funeral she took herself over to her house. The village felt empty – oddly freed of an intangible hold Dominic had had on it. The freedom did not feel right; an augustness had died with him. Nora’s cynical sentiments grew large between the gaps created by Dominic’s absence. Both Stacey’s father and Dominic had had a kind of invisibility in life that became obvious only in death. Their presence, the hugeness of them, only presented itself in their absence. Ravensong by Lee Maracle is published by Press Gang Publishers, (1993). Ravensong is now published by Canadian Scholar’s Press Inc. Thanks for the update Ms. Maracle!